IBM® Notes® Traveler is push email software designed to provide quick, secure access to email, calendar and contacts from a wide range of mobile devices or tablets. 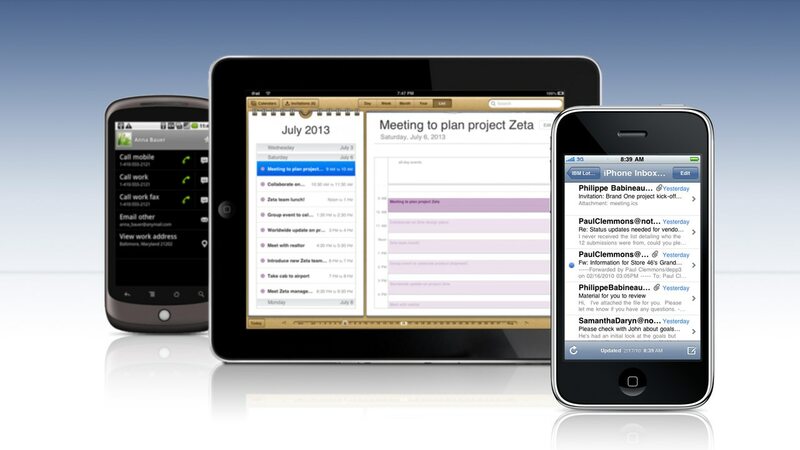 It synchronizes email, calendar and contacts data between IBM SmartCloud® Notes or IBM Verse® and the device. It is a no-charge mobile offering available for IBM Notes, IBM Verse and IBM Domino® users. It is easy to install and simple to use. Boost connectivity and productivity with full-featured mobile email for smartphones and tablets. Stay up-to-date with your meetings, appointments and events, and almost never be out of reach of your email. Keep your list of contacts up-to-date across a range of devices. Take advantage of security features to protect data and support compliance with corporate policies. Optimize network throughput and improve administrative efficiency with a single point of control to monitor the IBM Notes Traveler community.